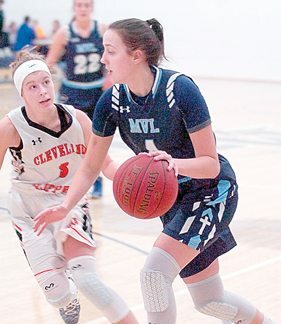 NEW ULM — Minnesota Valley Lutheran won its second game as the Chargers downed Cleveland 67-53 on Thursday in a nonconference girls’ basketball game. Timm was pleased with how the team passed the ball well and played well as a unit. 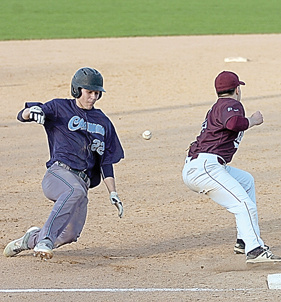 He hopes MVL can continue to play as it did against Cleveland in future games. He credited his defense with getting Cleveland out of its game. Cleveland entered the contest with a 6-4 overall record. 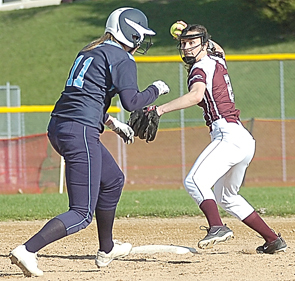 MVL’s offense moved and got the ball to drop when needed. Maddie Spurgin dropped two free throws, Lauren Paulsen got two baskets, Abby Nelson scored and Hannah Marzinske got a lay-up for a 10-0 run by MVL. The Chargers led 43-20 at halftime. The Chargers continued to pull away from Cleveland throughout the second half. Emma Nelson started an 8-0 run with a layup. She was fouled and made the free throw. Haley Birkholz scored and Jordyn Keranen hit a 3-point shot for a 51-22 MVL advantage. Four different Cleveland players answered with a run of its own. Whenever the Clippers attempted to come back, MVL responded with key baskets down the stretch. Paulsen hit two baskets and a free throw and Haley Birkholz made one of two free throws. Cleveland scored the game’s final five points on a 3-point shot by Karna Ziebath and two free throws by Julia McCabe. Paulsen led MVL with 15 points. Maddie Pearson added 11 points with five steals. 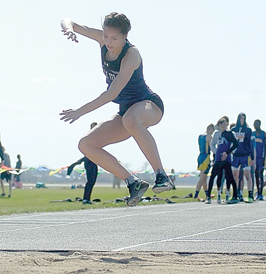 Abby Nelson and Birkholz each had 10 points. Abby Nelson had five rebounds. Emma Nelson had eight rebounds and five steals. MVL (7-6, 3-3) will host Sleepy Eye St. Mary’s (11-2, 4-2) on Friday.